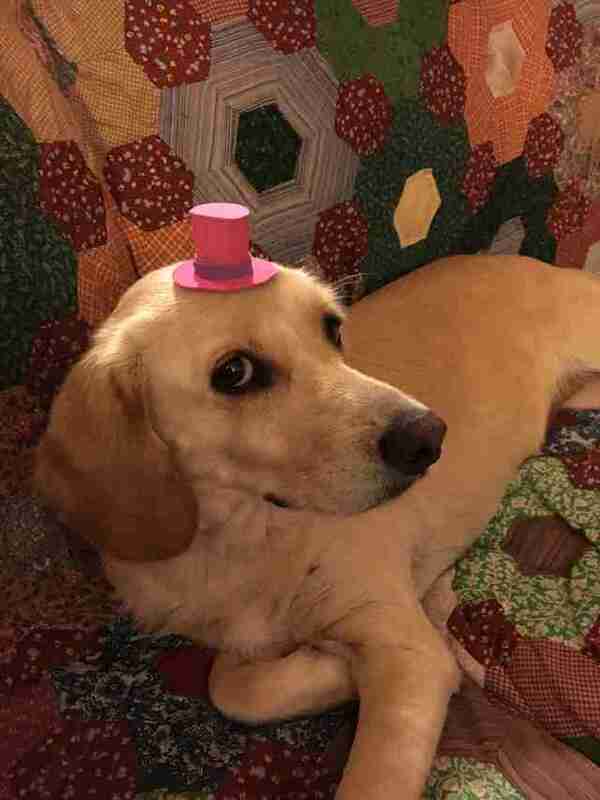 He shows up every night to try on a different one. 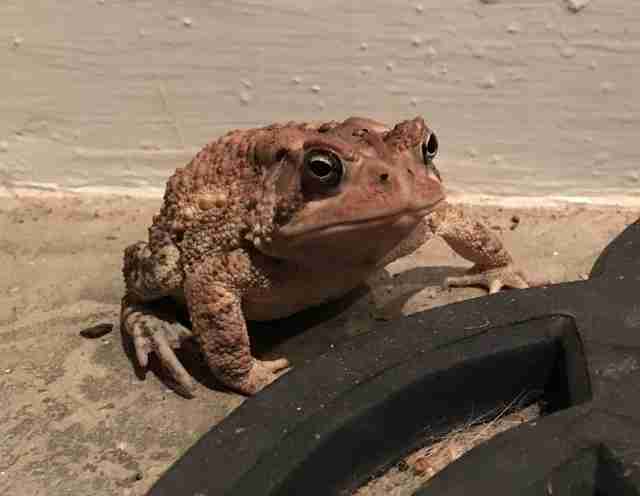 One night over the summer, Chris Newsome noticed a little toad sitting on his porch. He didn't think much of it, until it happened again and again. "The same toad would come to my porch every night," Newsome told The Dodo. 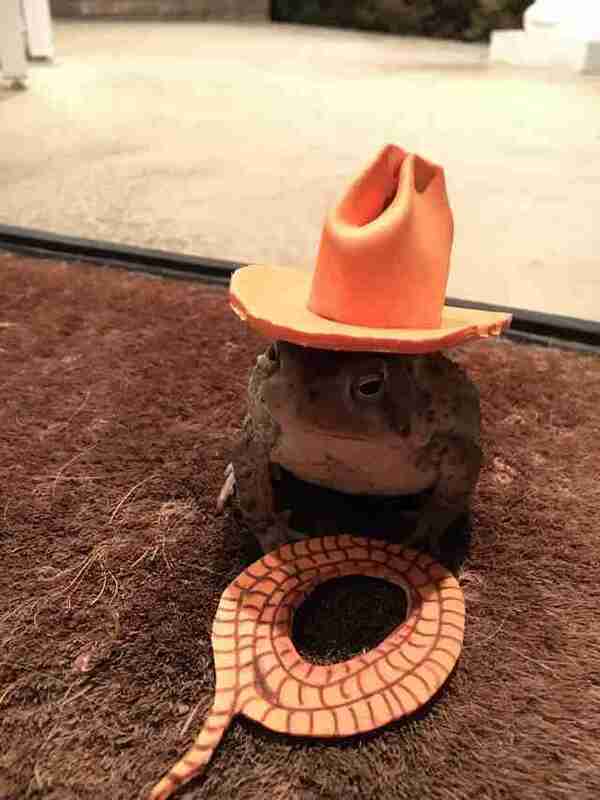 Newsome loved seeing his little toad buddy, and wanted to do something special for him - so he made him a hat. 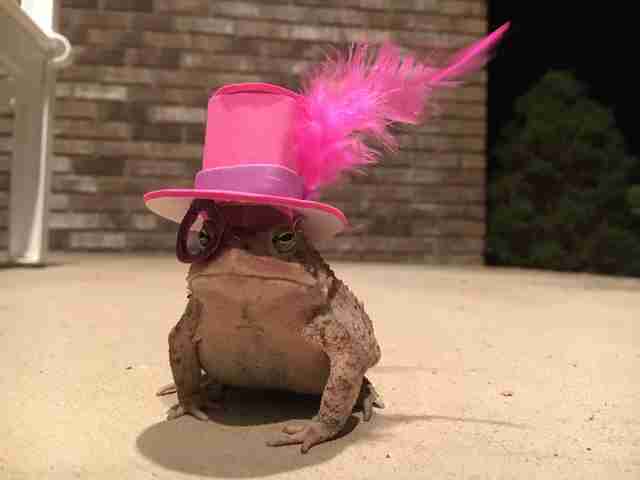 "I decided to enter the world of toad millinery and help the little guy out," Newsome wrote in a post on Imgur. 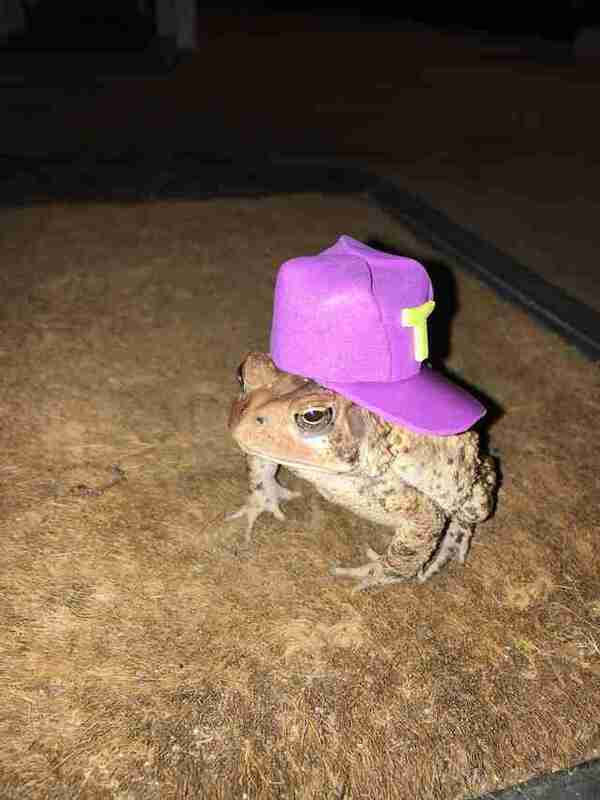 "Foam paper seemed like a toad-friendly material." 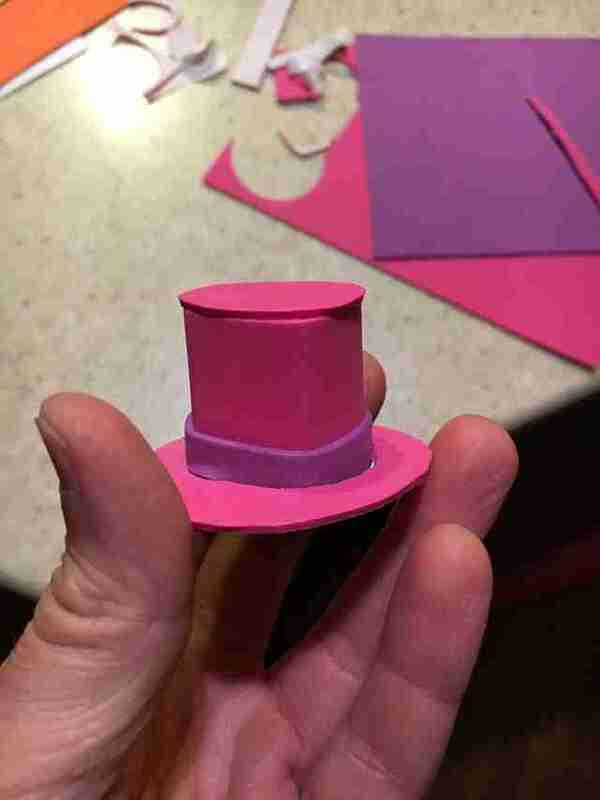 ... and found a way to make the hat even more fabulous. 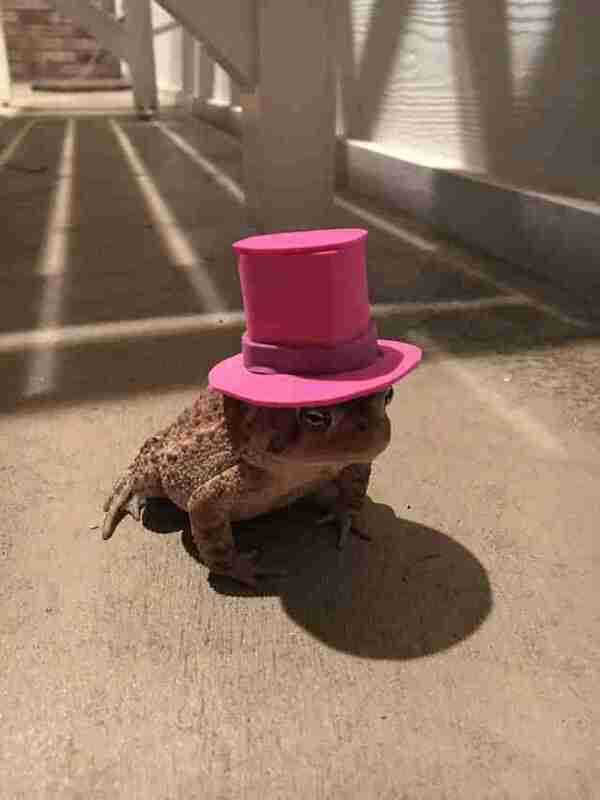 After that, Newsome continued to make hats for his new friend night after night, and miraculously, the toad continued to always come back. 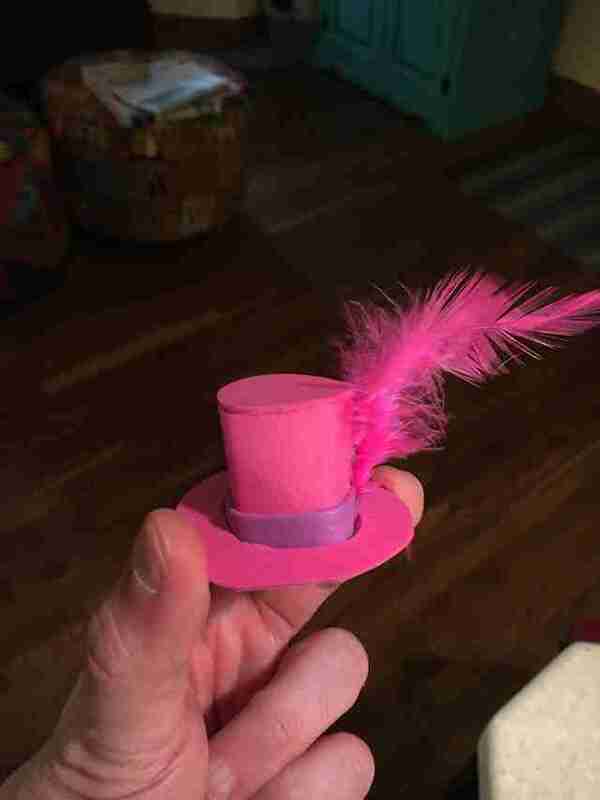 "Even after wearing a different hat each night," Newsome said. ... much more than Newsome's dog Daisy did. Daisy was not a fan.